Are you ready for another rodeo? 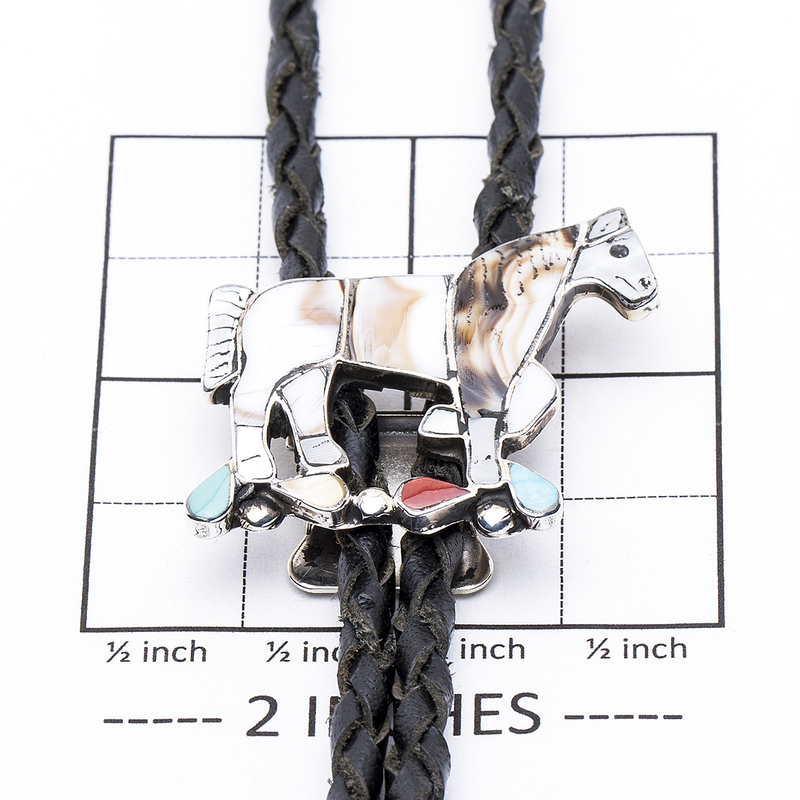 If so, this bolo tie would be a perfect compliment on any suit, pearl snap shirt, or button up shirt. Wonderful gift for a special man or lady in your life! Handcrafted with care by Zuni artist Carlene Leekity; notice how she created the mane with pattern from the shell! Bolo measures 1 1/4″ in height by 1 1/2″ in width. 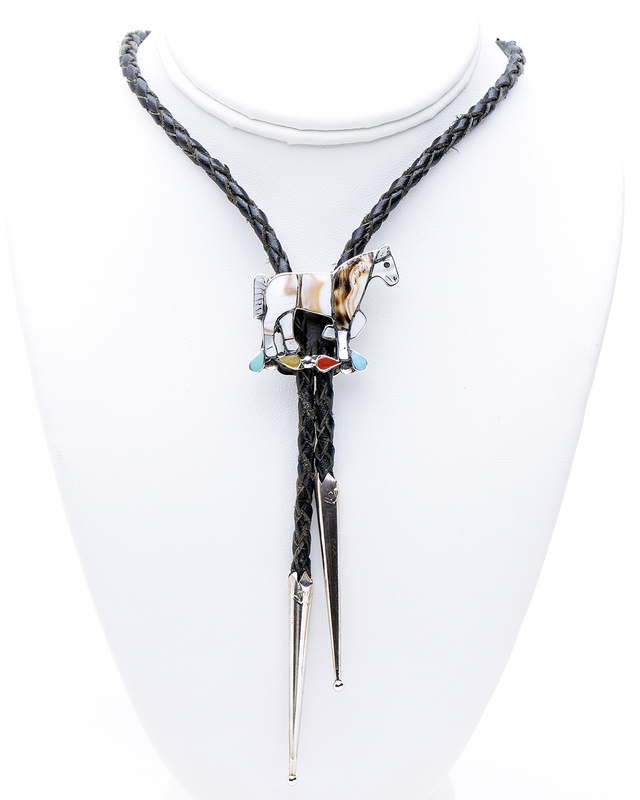 Bolo Strap measures 36″ strand with 2″ tips. Hallmarked “CL”, “Zuni” “#94” and guaranteed to be Sterling. This bolo weighs 22.5 grams. We also offer free gift wrapping with each purchase. 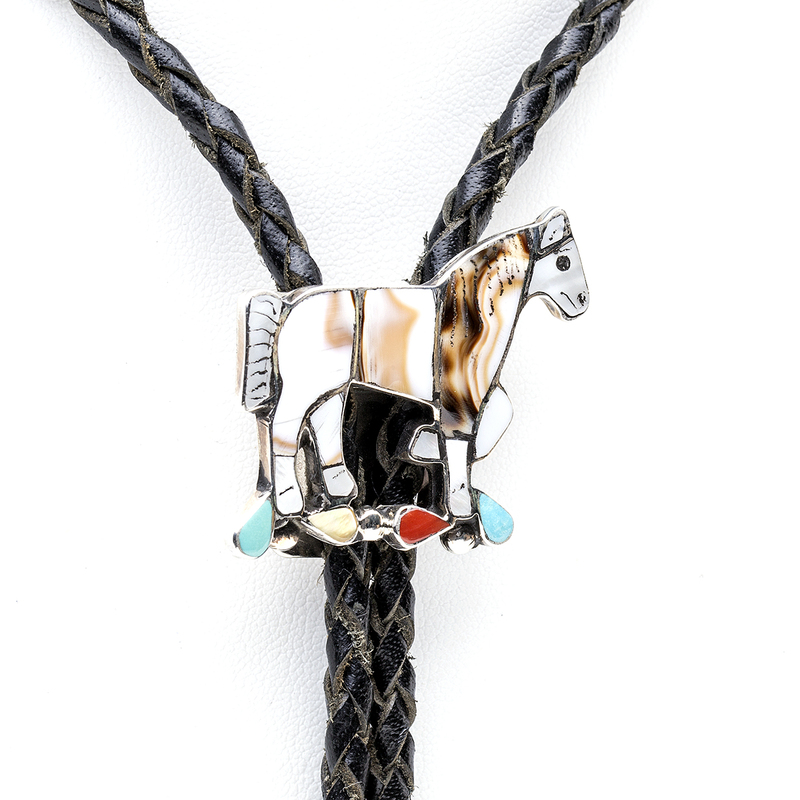 Zuni artist CL multi stone Horse Bolo Tie is an exhibit of Coral, Turquoise, Shell, and Mother of Pearl with Silver handcrafted by this gifted Zuni artist!